The Dansko Shaina is just the shoe you’ve been looking for. 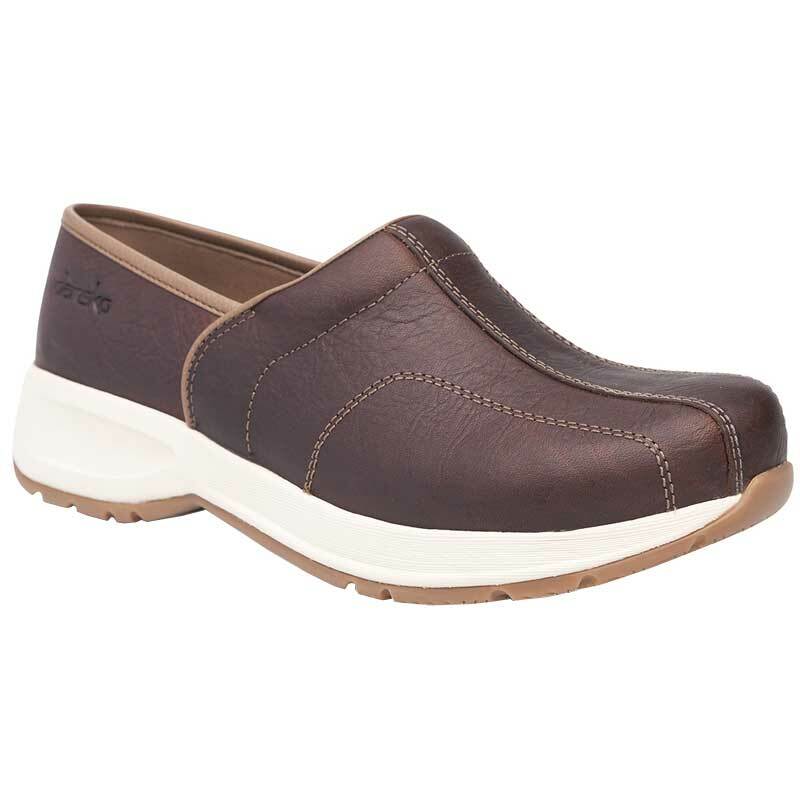 This women’s slip-on has an upper made of leather and it’s treated with 3M Scotchgard™ protector for stain resistance. The moisture-wicking fabric lining provides instant comfort and the removable open-cell PU footbed features Dansko Natural Arch™ technology for all-day comfort. The lightweight EVA midsole has an ABS shank for support at the outsole of the Shaina is slip-resistant for traction on wet or dry surfaces. Perfect for a gal on the go, the Shaina from Dansko is a must.